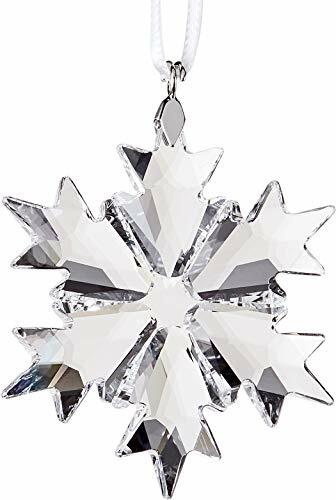 The Swarovski small ornament 2018 is a classic addition to swarovki’s holiday collection. The little star ornament is available only for 2018. Expertly fashioned to sparkle and enhance your holiday. The little star comes with a white ribbon and is not a dated ornament. The ornament is sure to be a keepsake for your family. Not a toy. Not suitable for children under 15. The Swarovski Small Ornament 2018 is a classic addition to Swarovki’s holiday collection. The little star ornament is available only for 2018. Expertly fashioned to sparkle and enhance your holiday. The little star comes with a white ribbon and is not a dated ornament. The ornament is sure to be a keepsake for your family.